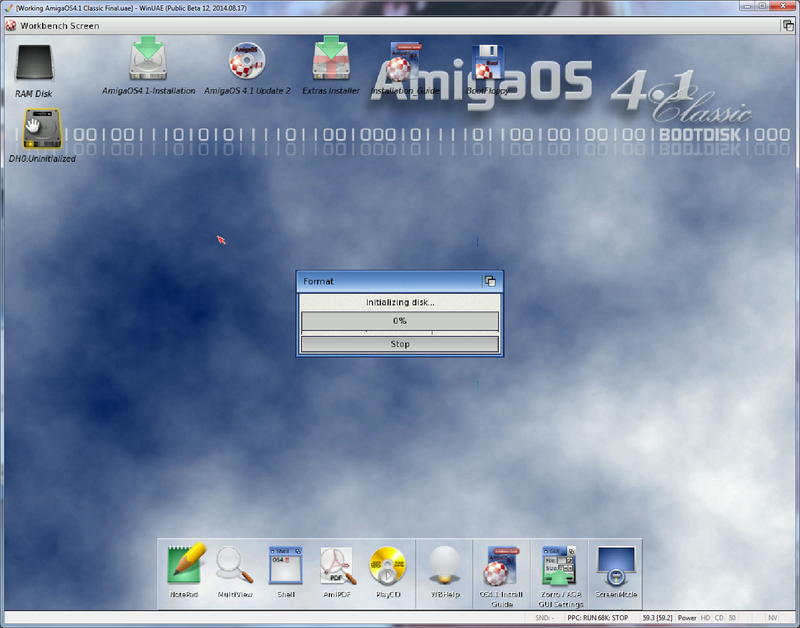 There is a guide I followed for the AmigaOS4.0 installation here. However there are no pictures so I have done screengrabs to show the process to hopefully make it clearer what needs to be done. 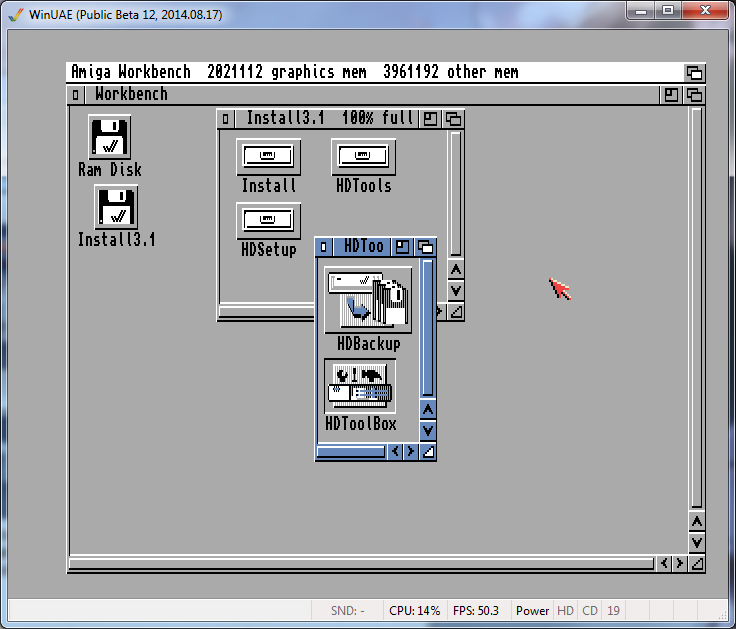 I created a WinUAE configuration with a standard A1200 Kickstart 3.1 system, 2MB Chip RAM, 4MB Fast RAM (not needed really), with the Workbench 3.1 Install floppy mounted in DF0, and the AmigaOS4.1 HDF I created in Part 1 mounted (with RDB enabled) as DH0: using the default UAE driver. Make sure that the AmigaOS4.1 Classic configuration created in Part 1 also has RDB enabled on the hard disk created. 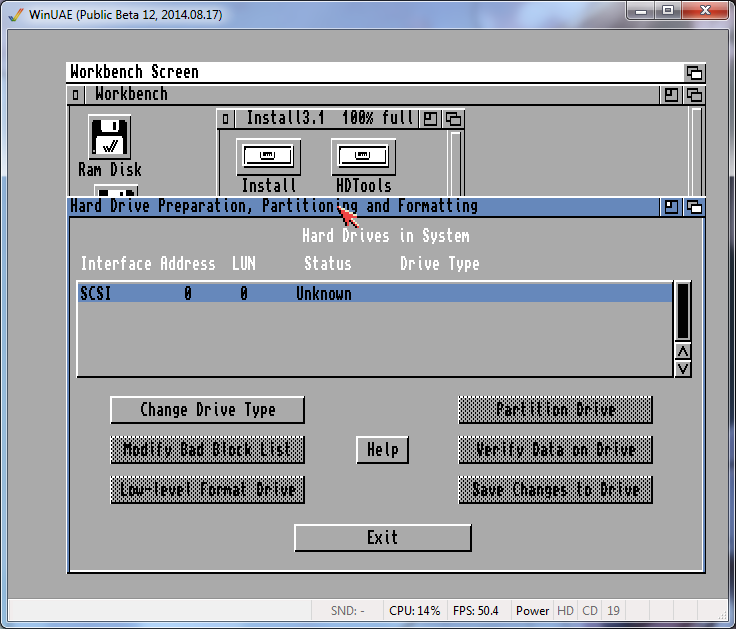 I removed the second partition (click on the partition on the right, then select Delete Partition). Now click on Save Changes to Drive, and then click Exit. 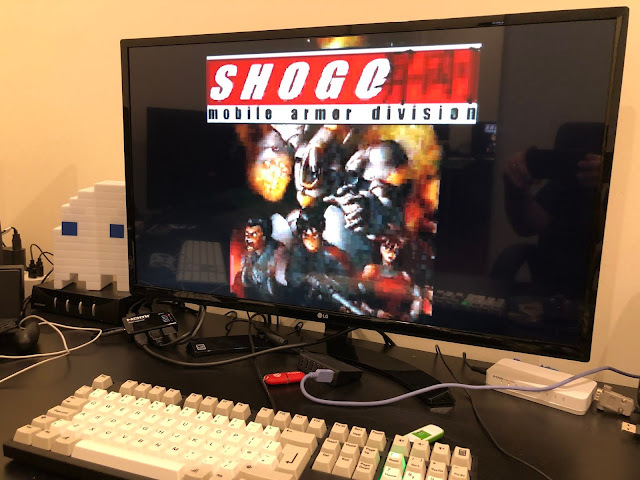 As a guide, it took 1 hour on my PC to do this installation section until I got the completed screen below - so make a coffee, watch some tv or whatever! At this point, Click Next to finish the installation. Press F12 and hit Restart (don't use Reset - soft resets don't work properly when using ppc emulation in this WinUAE version). 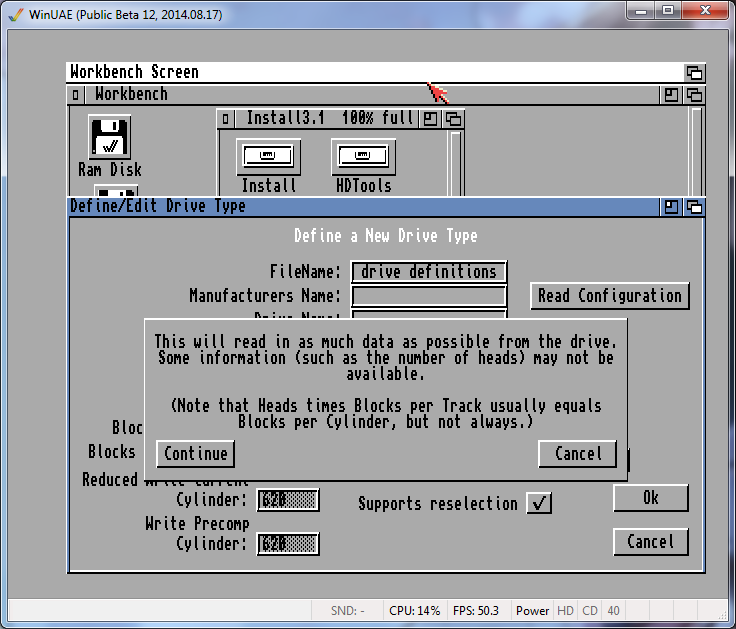 When the WinUAE configuration GUI comes back up, eject the boot floppy adf from DF0 and eject the AmigaOS4.1 Classic cd image and then save the configuration. Then start the emulation to boot AmigaOS4.1 from hard disk. As a guide, booting takes around 4 minutes. 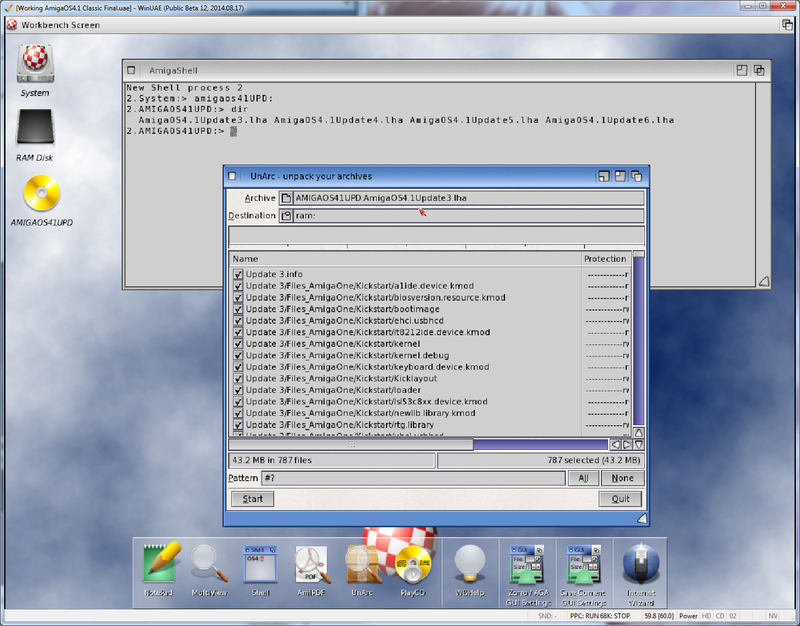 You then get the post install configuration options - fantastic! It worked! At this point, you really should close WinUAE and make a backup copy of the HDF you just created so you don't have to do that installation again. We can then move on to extract and install Updates 4,5 and 6. It is required to install each in order as the updates are not cumulative. I won't bore you showing all those installs, but they follow the same pattern as the Update 3 install I have shown. Allow plenty of time for these! In Part 3 I will cover the next part of the build configuration. 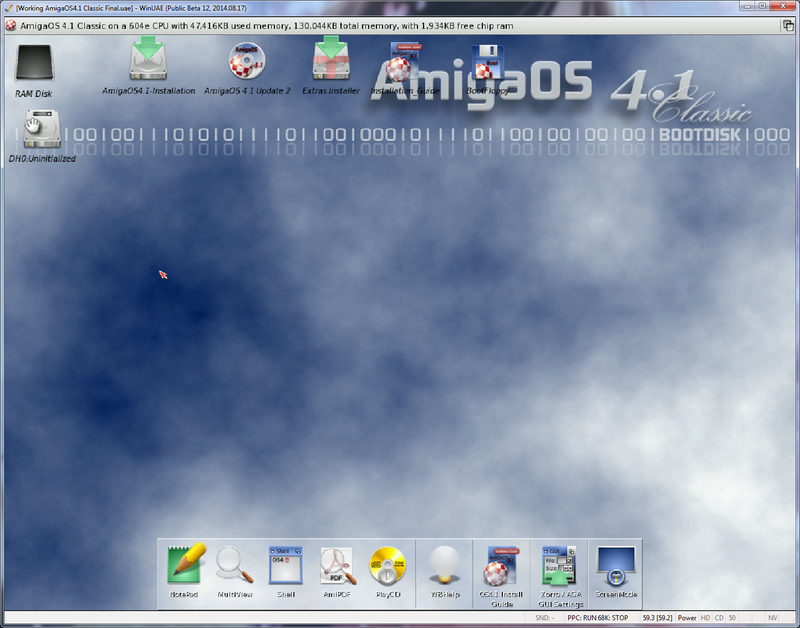 Until then, have fun with AmigaOS4.1 Classic on WinUAE!